Studio 2 features an unusually large control room, designed to provide a comfortable environment for writing and relaxing as well as for mixing. Sound engineering involves long days and, all too often, nights. As a result, recording studios need to provide not only the technical facilities for recording audio, but a comfortable and convenient environment that nurtures creativity and supports the people working there. 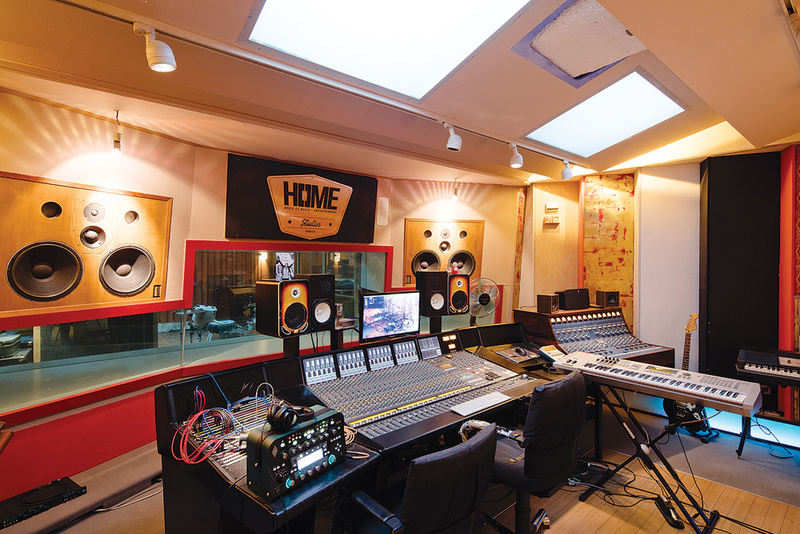 A cosy, friendly atmosphere is considered so important at one German studio that it is named House Of Music and Entertainment — or HOME, for short. 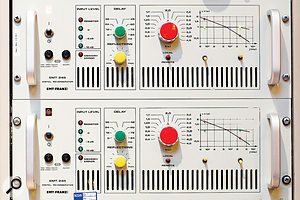 German producer Franz Plasa has owned and run the Hamburg studio since 1998, yet its history stretches back to the early ’80s. In those times Norbert Pape, a guitarist with a band whose lead singer eventually founded Kingdom Come, started his studio equipment business. He was among the first to source and collect vintage German microphones, selling them to the United States for a huge profit. A few years later, Pape began selling recording consoles as well, and founded his Chateau du Pape studio originally as a demo room for the consoles he was offering. 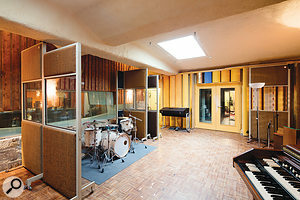 Located in a brick building dating from 1925 in a residential area called Harvestehude, a few kilometres north of the centre of Hamburg, Chateau du Pape with its Roger Quested-designed rooms was quickly recognised as one of the best studios in this part of Germany, and it soon attracted talent both locally and from abroad. Franz Plasa first entered the studio in 1985 as guitarist with Felix DeLuxe when the band recorded parts of their debut album there. He continued to work at the studio, first as a musician, and then as a producer in the early ’90s. Finally, in 1997, Pape went bankrupt and Plasa bought the studios and the remaining assets, renaming it HOME. No consoles were left, but he was able to take over the entire microphone collection and some instruments. The control room in Studio 1 is based around an SSL J-series console. 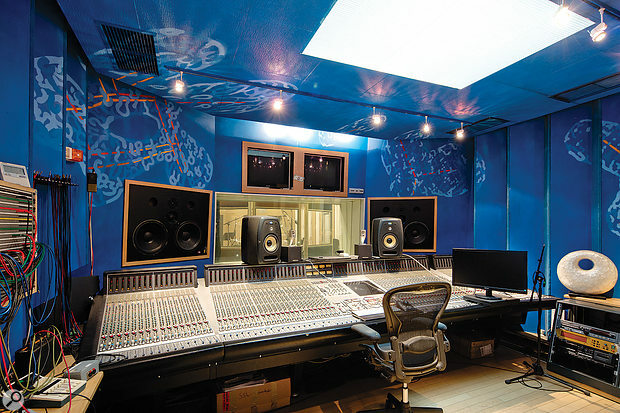 Studio 2’s live room is a similar size to Studio 1’s.Plasa remodelled the premises, and the original Studio 1, boasting a 35-square-metre control room and a 63-square-metre live room plus two isolation booths, was equipped with an 80-channel SSL 9080 J-series console, which still resides there today. Studio 2, which had been added in the early ’90s, was outfitted with an ADT desk, which later made room for a 24-channel SSL Duality SE. 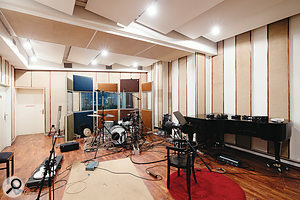 The Studio 1 live room.The Studio 2 live area is about the same size as Studio 1’s, but its control room is much larger. At 55 square metres, it provides ample space for writing sessions, with a comfortable environment that resembles a living room as much as a professional studio possibly can. 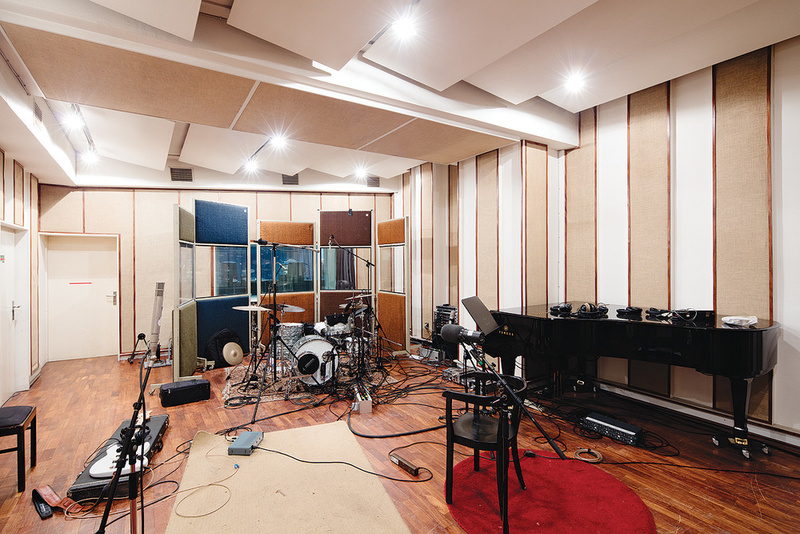 This room remains Franz Plasa’s own favourite workspace for projects he produces. 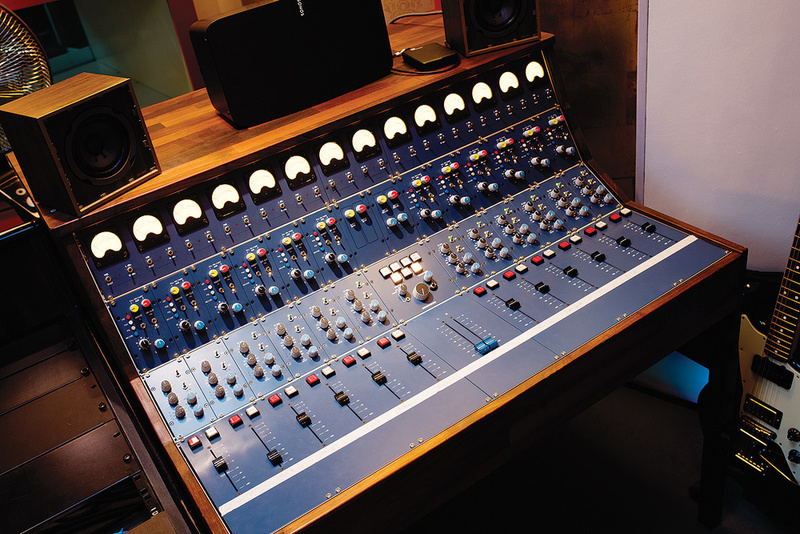 The ‘badass machine’ valve console that acts as a sidecar to Studio 2’s SSL Duality.Recently, a second console has been installed as a sidecar to the Duality. 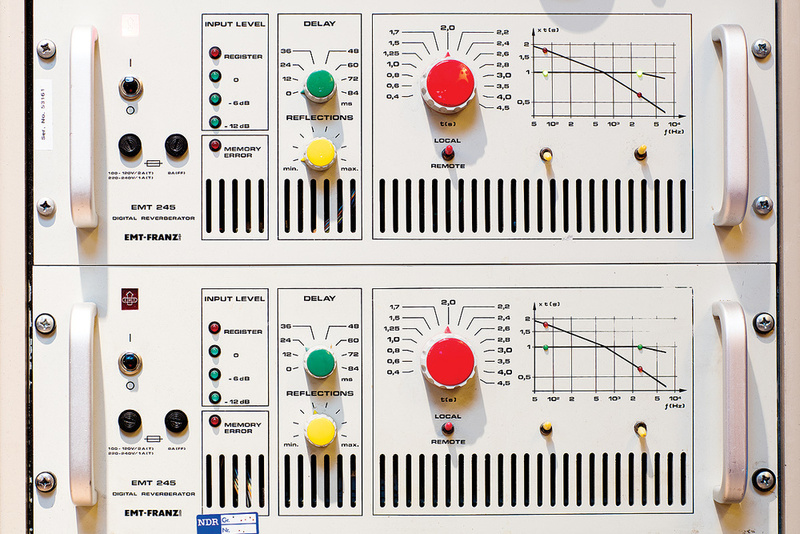 The Krässemaschine, which can be translated as ‘badass machine’, is an entirely valve-driven console with 12 input channels and a topology inspired by the legendary Telefunken V76 preamplifier. Franz Plasa especially enjoys the tone quality it brings to drum signals and room microphones, which he describes as sounding “pitched down“, bringing a richer, fuller and darker quality to the recordings. Vintage Neumann and EMT modules in Studio 1.Both studios boast an enormous arsenal of outboard gear, with Studio 1 featuring a pair of Neve 1093 channels and a selection of high-end equalisers including a GML 8200, two Summit Audio EQF-100s and some Tube-Tech units. 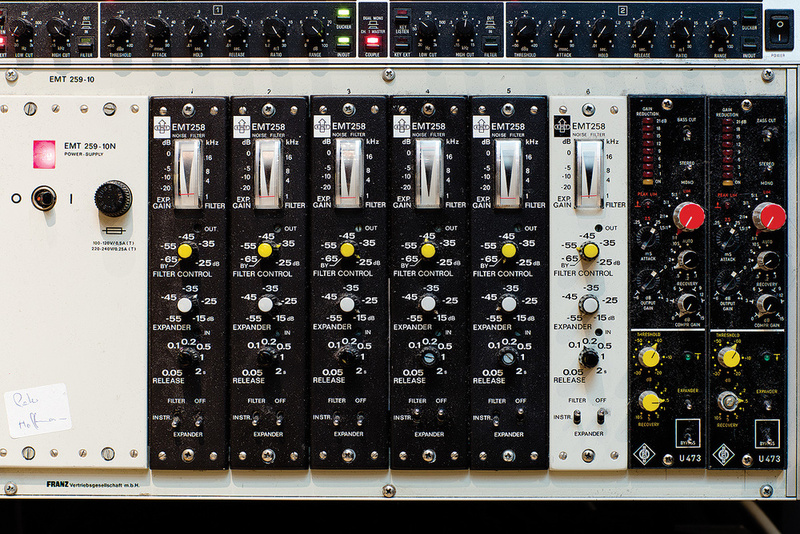 Dynamics duties are handled by a GML 8900, a Neve 33609/C and a Teletronix LA2A, as well as two pairs of UREI 1176s and LA3As, among many others. The studio is well equipped with reverbs and effects units too, including classics such as an AMS RMX 16, EMT 245, Lexicon 224X and 480L, as well as an Ursa Major Space Station SST-282. For recording, the ubiquitous Pro Tools rig is complemented by a pair of Studer A820 two-inch machines that can be sync’ed for 48 channels combined. Plasa says that tape recording is being requested more frequently, and he is planning to equip one of the recorders with a 16-channel head stack for an even fatter sound. 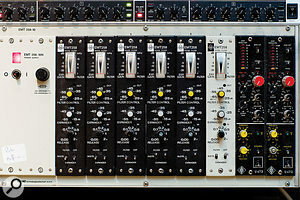 Key outboard in Studio 2 includes a Neve Prism rack, another GML 8200 and a pair of EMT 354 reverb units, and one of the strengths of the venue is the microphone collection, which partially dates back to the Norbert Pape days. Vintage German mics include pairs of Neumann Gefell CMV563s and UM57s, Neumann SM69s in both valve and FET versions, a pair of U47 FETs, a U67, U89 and a pair of Telefunken-branded M269s. Other rare sound transducers available include an RCA 44BX, a Sony C35P and a dozen Schoeps mics. 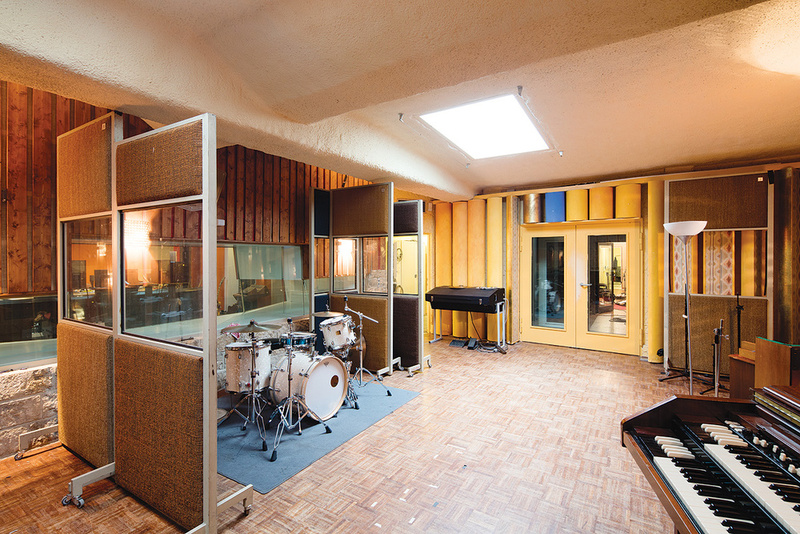 EMT 245 reverbs in Studio 2.There’s also a formidable array of backline, with a range of keyboards that encompasses a Hammond C3 organ, Hohner Clavinet D6, a Wurlitzer 200A electric piano and a Minimoog, as well as a Yamaha S6 grand piano. Lined up against a wall in Studio 2, ready for recording, you’ll find a selection of tasty guitar amps including a Fender Super Champ, a Vox AC30 from the ’60s, several Marshalls and an Orange OR120, as well as a large number of guitars including a 1963 Fender Jaguar and a 1957 Gibson Les Paul Gold Top. Soon after Plasa took over the studio, he had tremendous success there as a producer with German rock bands Selig and ECHT, and many other well-known artists have worked there too. The list of domestic artists includes Rammstein, Herbert Grönemeyer, Nena and Juli, while Depeche Mode recorded significant portions of their 1993 album Songs Of Faith And Devotion here. Other clients have included Carlos Santana, Lauryn Hill, Eminem, 50 Cent, Joss Stone, Mariah Carey, A-Ha and many more.